The bridal bouquet plays quite a big role at your wedding as it is carried down the aisle, held in the photographs and sometimes placed on the head table on show. 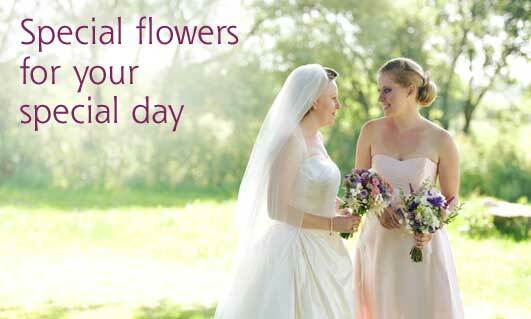 Your bouquet style can be guided by the design of your wedding dress. A dramatic bouquet, for example, would look overpowering on a simple delicate gown whilst it would compliment a more full skirted dress. Things to consider when choosing your bridal flowers are whether you are trying to achieve a modern or traditional look. Is there a particular theme or colour you would like to follow i.e. : romantic, contemporary, country, exotic, vintage etc. Once you’ve chosen your dress, it would be an idea to bring some pictures along so we can make sure we are working to provide you with the perfect bouquet.